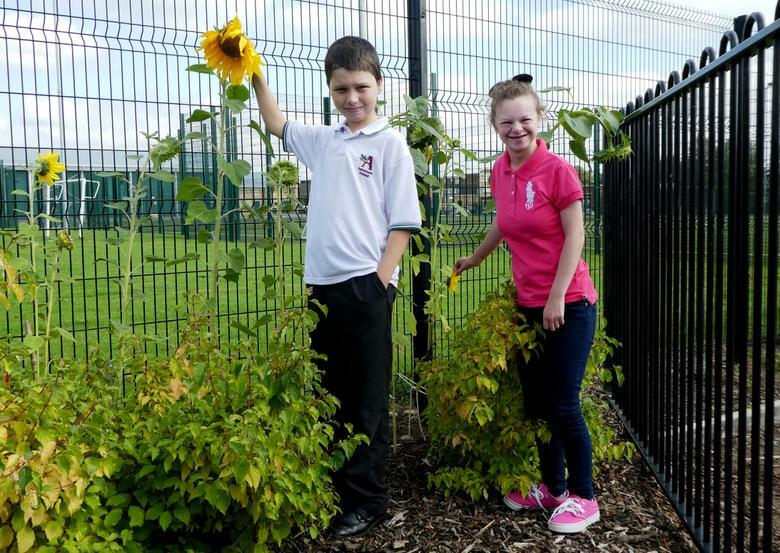 Ashmount pupils have been growing their own sunflowers for the 2016 Schools' Tallest Sunflower Competition. Our pupils were recently presented with a certificate and awarded third prize for growing six sunflowers with a combined total height of 34 feet and 1 inches. This was surprisingly close to the combined height of the winning sunflowers grown by pupils at Fairfield Primary School which totaled 39 feet and 7 inches.